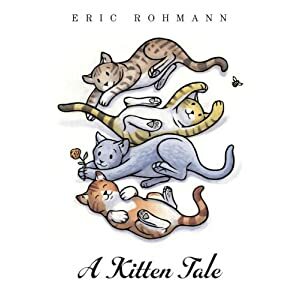 In A Kitten Tale, written and illustrated by Eric Rohman, four little kittens are anticipating the coming snow. Three are dreading it, but one can't wait. This is a cute book with just a sentence or two per double page spread and some repeated phrases making it a good book for beginning readers. Reading Rockets has an interview with Eric Rohman that is interesting for adults to listen to. He talks a lot about how he struggled in school.